BP-157x : 7.2v 2000mAh long-life rechargeable Ni-MH battery for ICOM HT radios. Home > Commercial-Land Mobile-Marine > ICOM > BP-157x : 7.2v 2000mAh long-life rechargeable Ni-MH battery for ICOM HT radios. BP-157x : 7.2 volt 2000mAh rechargeable LONG LIFE Ni-MH battery pack for ICOM radios, such as IC-W21A, IC-W21E, IC-2GXAT, IC-V21AT, IC-M10A, IC-M10E, IC-F10, IC-F20, etc (worldwide versions). Battery pack is BLACK color. Replaces BP-157 and BP-131. Battery is approx. 2" tall. Provides more running time than the original battery, while physically remaining the same size. Has charging contacts on the back, so it can be re-charged with a desktop rapid charger (such as our EMS-79A, or similar ICOM-brand charger for NiMH batteries). 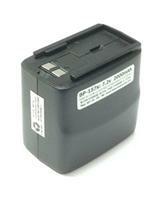 CBE-132 : Battery Eliminator for ICOM radios such as IC-W21A, IC-2GXA, IC-2GXAT, IC-V21AT, IC-F10, IC-F20, IC-M10. Slides onto bottom or radio. Enables high-watt operation from a 12VDC socket. BP-130A : ICOM brand 6xAA battery case. The BP-130A is an ICOM-brand 6 x AA battery case. Black color only. (fits both grey AND black-color radios). For radio models IC-W21A, 2GXA, 2GXAT, V21AT, F10, F20, M10, etc. 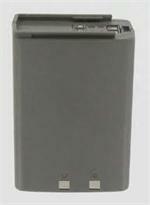 The BP-131xh is a 7.2 volt 2500mAh long-life rechargeable Ni-MH battery pack for ICOM radios such as IC-W21A, IC-2GXA, IC-2GXAT, IC-V21AT, IC-M10 etc. 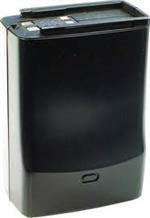 BP-131xe : 7.2v 2000mAh ENELOOP Ni-MH battery pack for ICOM HT radios. Fits IC-W21A, IC-2GXAT, IC-V21AT, IC-M10A, IC-F10, IC-F20, etc. Choose Grey or Black color. Includes built-in Microphone. Arrives to you PRE-CHARGED and READY TO USE. The BP-132xh is a 12volt 1800mAh long-life Nickel Metal Hydride battery pack for ICOM. Fits radios such as IC-W21A/E, IC-2GXA/GXAT, IC-V21AT, IC-F10, IC-F20, IC-M10A/E, etc. 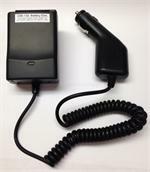 EMS-79A : Desktop Rapid-Smart Charger for ICOM batteries. Fits MANY models! EMS-79A: Desktop Rapid Charger for ICOM-style battery packs such as BP-82, BP-83, BP-84, BP-85, BP-111, BP-112, BP-113, BP-114, BP-131, BP-132, BP-157, BP-174, BP-151, BP-173, BP-180, & many more.